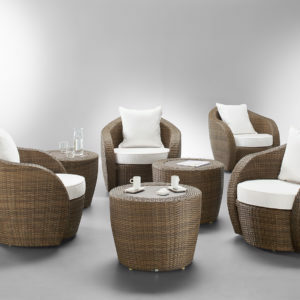 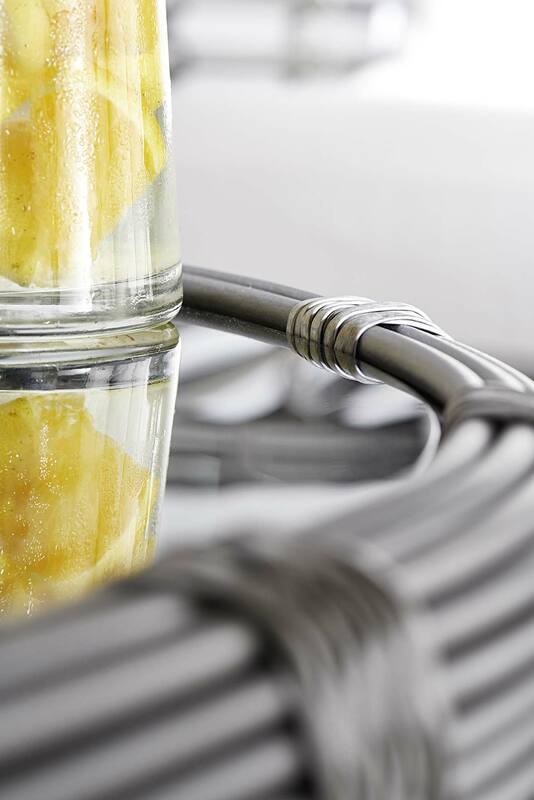 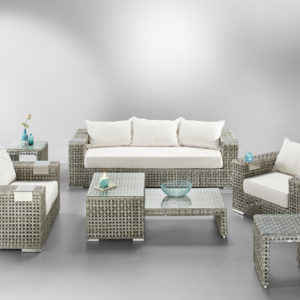 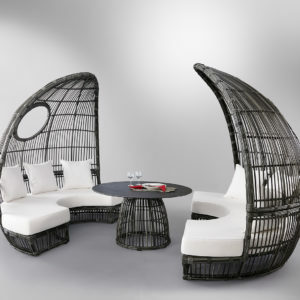 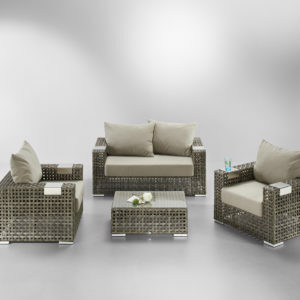 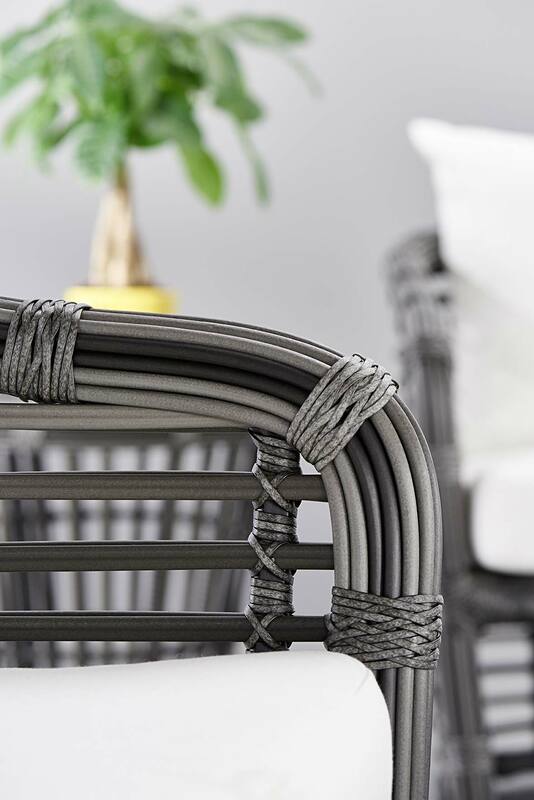 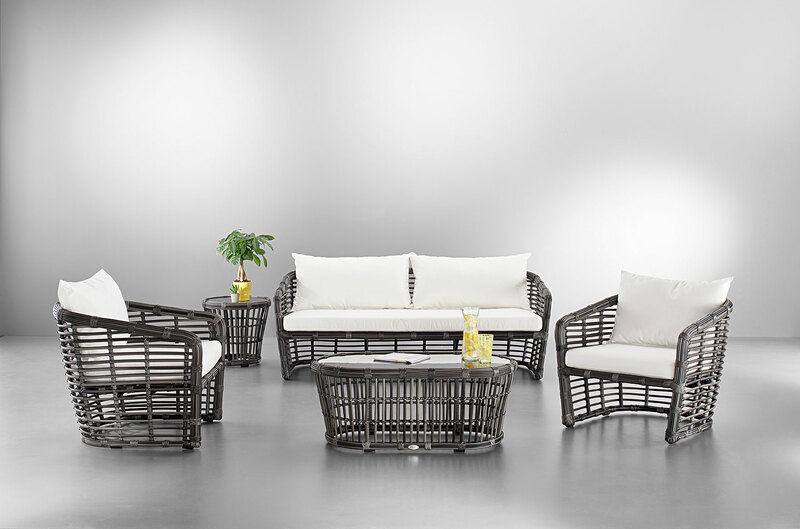 Exterior lounge set made with Wintech braided fiber in Charcoal color with three-tone weave. 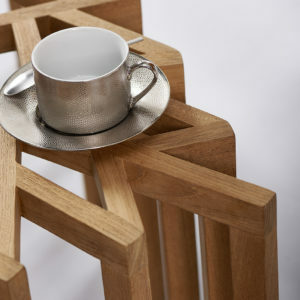 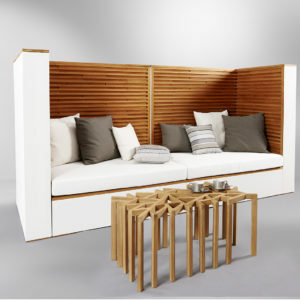 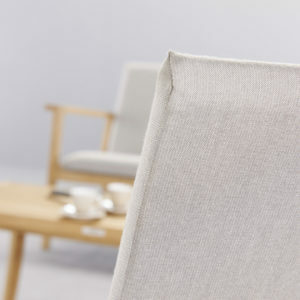 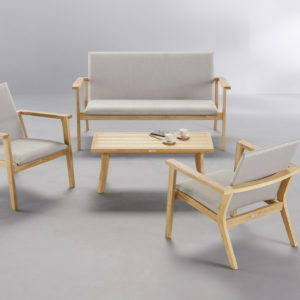 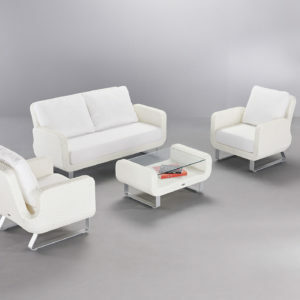 Comprising a three seater sofa, two armchairs, a coffee table and a sofa end. 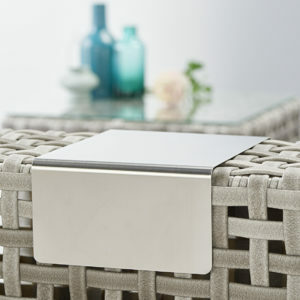 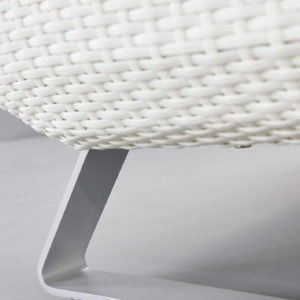 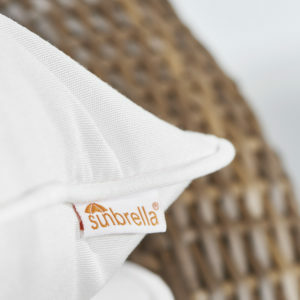 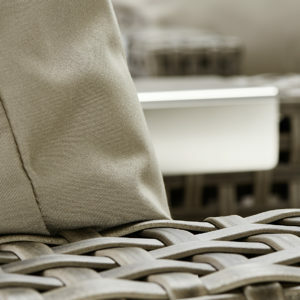 Aluminum structure and seats and cushions in Sunbrella® fabric. 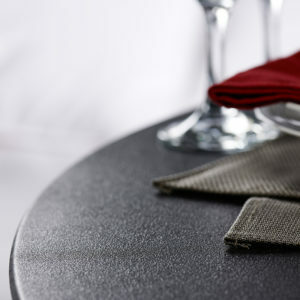 Colors to choose from throughout the range.